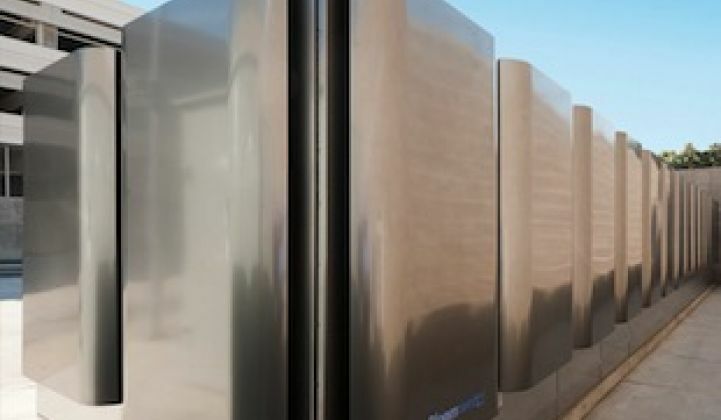 What’s happening at the billion-dollar fuel cell startup? Dan Primack of Fortune again has the scoop on revenue at fuel cell "startup" Bloom Energy. And it doesn't look great. Bloom had $42 million of pro forma revenue and negative $61 million of pro forma operating income in the first quarter of this year, according to documents obtained by Fortune. That's down significantly from the $101 million reported in pro forma Q3 2012 revenue. And yet Bloom suggests it will turn a profit in the second half of 2013, according to its CFO, as quoted by Primack. Scott Sandell, a partner at NEA and a Bloom board member, was quoted by Reuters as saying that Bloom will likely attempt an IPO late this year or early next. Earlier this month, Bloom raised $130 million in venture capital, bringing its VC total to $1.1 billion over a decade from investors including KPCB, NEA, DAG Ventures, GSV Capital, Apex Venture Partners, Mobius Venture Capital, Madrone Capital, SunBridge Partners, Advanced Equities, and Goldman Sachs. Jeff St. John of GTM has reported on Bloom's valuation and its stock sales in the secondary market. Primack reports that Bloom has told its investors it remains "on track" to become profitable in the second half of 2013, and expects to return to positive gross margin in Q2. He asks why a company with a "fully-funded business plan" needed to raise another $130 million in outside capital. According to Fortune, the first $100 million came from an unidentified new investor and $30 million came from Credit Suisse -- while existing investors did not participate. This funding was structured as an "extension to the company's Series G round that originally closed on $150 million in 2011 at a $2.7 billion pre-money valuation." Bloom builds fuel cells of the solid-oxide variety with natural gas as the fuel. There is no heat resource in the Bloom Box as there is in CHP fuel cells. The 200-kilowatt units are intended for commercial and industrial applications, and the firm boasts an all-star list of customers, including Adobe, FedEx, Staples, Google, Coca-Cola, and Wal-Mart. Bloom's fuel -- natural gas -- is a commodity and subject to price volatility. Bloom's business has relied on state subsidies for distributed energy, but subsidies expire. The long-term reliability of the fuel cell stack remains a risk, and some have questioned Bloom's green claims and employment practices. But in today's difficult cleantech business climate, those profit noises from the CFO are cause for cautious optimism. 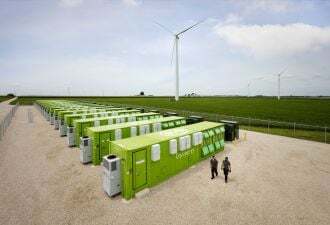 If Bloom is actually profitable in 2013, the company would be a testament to the viability of capital-intensive, VC-funded cleaner energy breakthroughs and the virtue of distributed power generation. If not, we might hear from a new CFO. Greentech Media has written a lot about fuel cells of late (including a fuel cell roundup and other recent pieces about Bloom's $130M funding, warranty costs, and its loss of a VTA project).